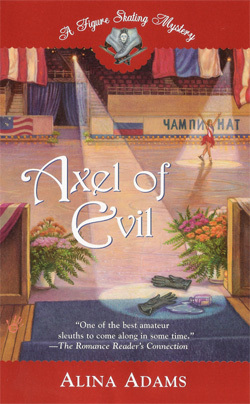 Figure Skating Mystery: WHY IS ALEXEY YAGUDIN COMING BACK? WHY IS ALEXEY YAGUDIN COMING BACK? Article in the Russian language publication Dni.ru by Sonja Ray, printed on August 13, 2007. Olympic Figure Skating Champion Alexey Yagudin announced that he was coming back to amateur sports after 5 years of resting and serious traumas. Many people were skeptical about this decision, because according to the rules of the International Skating Union (ISU), it is prohibited. 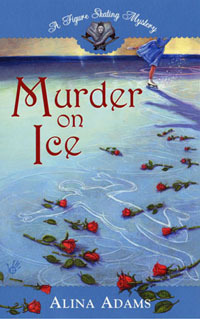 After completing their sports careers, some skaters retire and some are turning professional and participating in various shows. This activity would not prevent them from coming back to amateur sports if they did not declare officially about the completion of their amateur career, and did not participate in the Professional World Championships. Alexey Yagudin participated in two Professional World Championships and this situation will have to be somehow resolved. The president of the Russian Figure Skating Federation, Mr. V. Piseev made a statement that Mr. Yagudin would have to apply for permission from the ISU to come back, and that he had not received yet an official return application from Mr. Yagudin. So far there were mainly oral statements made by Alexey, so the Federation could not react to them. But Mr. Piseev said that he would be very happy if Alexey would decide to come back to sports and would support his decision since there is a complicated situation in Russian men’s singles skating. Many people do not believe that this plan would be successful. Three time Olympic Champion Irina Rodnina mentioned that if Alexey is talking about coming back, then it means that he would like to do it. But no one could guarantee that he would be able to do it. He stopped skating as an amateur in 2002 and 5 years of stagnation in sports is a huge period. Also, he has had a lot of traumas in his career. 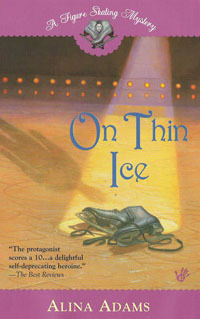 In Irina’s opinion, he would not be able to come back to the same level of skating as before. It is important to mention that Irina Rodnina was as skeptical about the return to big sports after a one year break by another Olympic champion – Evgeny Plushchenko. She said that she knows it first hand how difficult it was for her to come back even when leaving at the top. The risk is too high. One has to work very hard, to throw all their strengths into practice, but is it really what they want? Now they have different things on their minds – shows, earnings, projects. Irina thought that the news about their return to sports was a clever PR step that would bring attention to the skaters and to the shows that they promote. But if they are really serious about coming back, she wishes them the best of luck and a lot of health. Time will show what will come of these plans. It is interesting to mention that Evgeny also thought that the announcement of his main rival was a commercial trick. Evgeny said that Alexey had so many traumas and that he did not participate in competitions for so long, that he was very skeptical of Yagudin coming back for real. But if it was true, he would wish Alexey success. And at the same time, Evgeny questioned if Yagudin could be successful as an amateur. It is true, Alexey is skating in shows, but the level of skating in these shows is so much lower than that in amateur sports these days. It is difficult at this time to seriously consider the statements of Alexey Yagudin about coming back to sports since he has just undergone an operation and at this time he would have to concentrate on rehabilitation. It is August, the time to start seriously thinking about practices and programs. Yagudin will have to practice a lot as to be successful because he is 27 and this is considered a very mature age in single skating.